Sometimes being too smart like “the Chaser” in this clip below can hurt you! The Chaser thought that the name Tabasco would NOT have been trademarked in the 1800s since Tabasco is a providence in Mexico! How the game works is that the players are up against the clock as they compete in a team to answer rapid-fire general knowledge questions in an attempt to gather as much money possible to go toward their team’s collective pool all the while hoping to beat back ‘The Beast”. 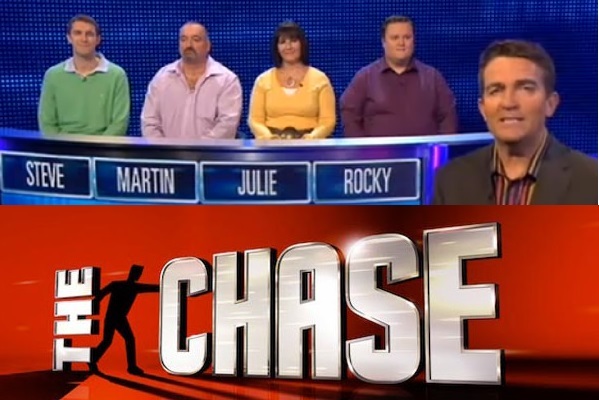 “The Chase” is not only a game of quiz, it’s also a game where contestants must avoid from being caught by the Chaser who is a big-wig ultimate trivia buff. If they stay ahead of the Chaser, they share the pot. If they get caught, they lose the lot! No word on if they are actually casting contestants to play the parts of “the Chaser”. It’s a nice mix of “Deal or No Deal”, “The Money List” except with a pool of more contestants. For people who think they have what it takes to bring down “THE BEAST” and win a HUGE CASH PRIZE, “The Chase” casting wants to hear from you. Casting wants to know how many people can answer these three sample trivia questions correctly without Googling the answers – 1) Name the planet that is the closest in size to planet Earth. 2) In the Bible, who led the Israelite Exodus from Egypt? 3) Name the actor that played James Bond in “Tomorrow Never Dies”, and “Golden Eye”. I am in Albuquerque NM., United States so I don’t know how relevant or non-relevant that is and don’t know for certain I can bring down “The Beast” but I am willing to give it a shot.